Memrise helps you learn words and phrases in a foreign language. It uses a spaced repetition system, much like Anki, which is a program I've used in my language learning for a long time. The site is completely free and all the materials are contributed by other users! You start by selecting a course, for example, Learn Basic Chinese: read a menu! or Upper-intermediate English. Memrise uses a really strange metaphor: you "plant" new levels and then "water" them periodically. Every time you log in, it'll tell you how many items need to be "watered" and you can click a button to review them. Then it will ask (in many different ways) to translate the items to or from the language you are learning. This can be clicking one of many options or even typing the correct answer. Depending on well you do on each item, it'll decide how soon you need to "water" that item again. Everything is contributed by the community: All the content is from users, which means it'll keep growing and getting better. Really cool web 2.0 awesome sauce: The application is very well built, beautiful and easy to use. Everything is contributed by the community: Because everything comes from other users, the courses are of varying quality - especially the audio. Also, while the content is continuing to grow, some important things are missing. Not the best "personal study" tool: Finding a cool course is great, but what if you want to review words you encountered while reading or listening in a foreign languageg (like I did with Harry Potter)? While it is possible to create a "personal vocab list" on Memrise, I still think that Anki is the better tool for this. I had a lot of fun learning some Chinese that I could actually use in real life! 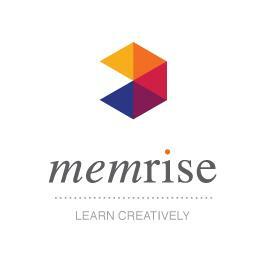 :-) And, overall, using Memrise was a very enjoyable experience. But if not, Memrise might not be the best tool for you. Have you tried Memrise.com? Please write a comment and let me know what you thought of it! You may not have been able to find them because they are categorized under Languages\Slavic rather than Languages\European. Not too bad. I'd recommend taking a look at the abcsofchinese.com if you're serious about learning to read and write. It's the best site I've found as it doesn't encourage you to learn characters randomly. You learn the radicals and components and move from there to more complicated ones. Once you start to see the characters as being composed of little pieces that are everywhere, it becomes much easier to learn things like 龍 or 鹿. Learning on a site like memrise isn't bad, but it's not very well suited for Chinese characters. To each his own. Chinese definitely isn't for everybody, but the grammar is relatively straight forward and once you get the hang of the tones, it's actually a lot of fun. But, it definitely does take a certain type of a person to try and learn to read it. Not so much hard as a lot of work over a relatively long period of time. I might use this to learn a bit of Japanese,my wife and I together with a few friends are planning a holiday to japan next year so wanted to learn some basic greetings and other usefull stuff. Dzięki David za inspirację do nauki j. chińskiego. Ciekawa forma, zrobiłam pierwszą próbę. Podoba mi się. Przy okazji można szlifować angielski. Dzięki też za piękny filmik. I found you (your videoblog) some half year ago when I was seeking any sources of Polish learning for my master degree in Warsaw. Regarding memrise and chinese, well I used almost one year memrise to learn chinese, it is quite interesting and easy to catch the new information via memrise strategy of learning foreign language. I hope my opinion will help you somehow. I've been using Memrise in two different ways. I'm doing an intermediate French course to brush up my vocab - it's good for learning new words but really I'm at the stage where I need to be talking, so perhaps not the best tool for me. It's almost daunting to be faced with so many words where perhaps I could just learn them naturally in conversation or from literature. Still, when I'm reading or talking and I come across words that I've learned on Memrise, it's pretty exciting. Where else would I have learned the French for 'hurtle past' and 'turn down your collar'? I've also done the basic Arabic course and learned to read Arabic in just a couple of weeks. I'm now beginning to learn some words and sentences from the follow on course, in conjunction with the free podcasts on arabicpod.net. I'd say this combined method has helped me gain confidence but without the Memrise lessons on pronouncing the letters, I'd still be struggling. So it's great for learning new characters but possibly a bit slow for syntax. After nailing Arabic script, I had an urge to learn Chinese and Hindi and... well the list could go on. One step at a time. Need to develop the Arabic into something vaguely conversational first. I wish you the best with all your languages! Can anyone suggest me some good website for French begginers? Thanks for sharing the link. I have been using duolingo.com for spanish for a while, and it seems very good to me. Even though you don't learn a lot from such things, you learn a bit. I read about how you learned polish, it's amazing. I wish I was able to put in the same effort for learning spanish, then polish and then probably russian. I see memrise.com has basic polish, so I will try that when I got some time. Thanks! Hi all. I am learning Polish for the long haul as my boyfriend's family is Polish and I am also learning French for an upcoming trip (2 weeks in France!!) I am much more advanced in Polish but I am motivated because my oral comprehension is still basically terrible. Memrize has great French content, but the Polish content needs some work. Most do not have audio or it is really basic stuff. I love the memorization technique with the pictures and the make your own option. However, most of the Polish courses do not have audio, rendering them useless for my purposes. Comprehensive Polish does have audio. I am also on the Realpolish site a lot for listening..
Now who is going to get on Memrize and improve its Polish content? Any suggestions for intermediate courses with good audio? Our teaching approach was based on latest technology and most updated chinese learning theories which is developed in many years of research. Learn Chinese in Singapore for the new concepts of Mandarin teaching methodology. Primary language for today's age is English that's why most people in Singapore want to learn english and there are people in singapore want to Learn Chinese in Singapore which is the new concepts of Mandarin teaching methodology. Recently I used www.bellsenglishonline.com,it';s an online platform to study English.It helped me a lot to improve my speech and vocabulary.I recommend it to every one,beginners and more advanced students. I'm a little bit skeptical about this type of software. I occasionally use flashcards (old style, paper cards...) and although i feel that it helps, i can't see any great contribution to my progress. I really enjoy the review of this service (Memrise) and i will give it a try.